Project commencement of Barmer Refinery at Pachpadra, Rajasthan is scheduled to be done by the Prime Minister Shri Narendra Modi on 16th January, 2018. Chief Minister of Rajasthan Smt. Vasundhara Rajeand Union Minister of Petroleum & Natural Gas, Skill Development & Entrepreneurship Shri Dharmendra Pradhan will also be present among other dignitaries. In 2013, the project was approved by GoI and Foundation Stone was laid by the then President of Congress Smt. Sonia Gandhi on 22.09.2013 at Pachpadra, Barmer just prior to the imposition of Model Code of Conduct on 27.09.2013. Hence, surface right of the land was in the papers only. Even Environmental Clearance to the project was not obtained. No physical activities on the ground was initiated in 2013. All this display lack of due diligence on the part of the then State Government. With the NDA Government at the Centre, genuine and earnest efforts were made by the State Government with the intervention of Ministry of Petroleum & Natural Gas, GoI and project was re-negotiated on better and advantageous financial terms & conditions. Earlier, IRR of the project was 6.32 and now it has been improved to 12.2%. This has resulted in reducing the financial burden on the State Government from Rs 56,040 crores to Rs 16,845 crores resulting in saving of Rs 40,000 crores to the State ex-chequer. Cost of the land to the tune of Rs 188.80 crore has been adjusted against the upfront equity of GoR in the project. It was decided to start physical activities at the project site before the formal ground breaking ceremony so as not to repeat the mistake committed by the then State Government of launching the project only on paper. Execution of Lease Deed of the allotted land of 4567.32 acre for the Refinery Plant. Further, 250-acre land allotted for development of Marketing Terminal at Pachpadra, Barmer. Construction of Boundary Wall has been started after execution of lease deed of land w.e.f. 29.09.2017 by awarding the tender of Rs 40.70 crore. Other tenders of Rs 50 crores have been awarded for Pre-Project Activities like route-surveys of crude pipeline, product pipeline, water pipelines and Topographic Survey and Soil Investigations. 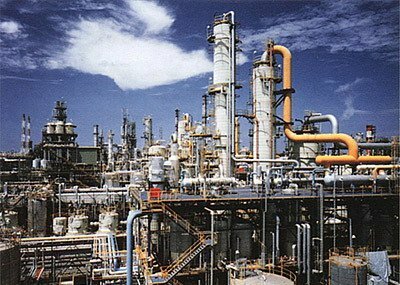 The earlier refinery was designed for BS-III fuel while now the refinery will make latest BS-VI fuel.